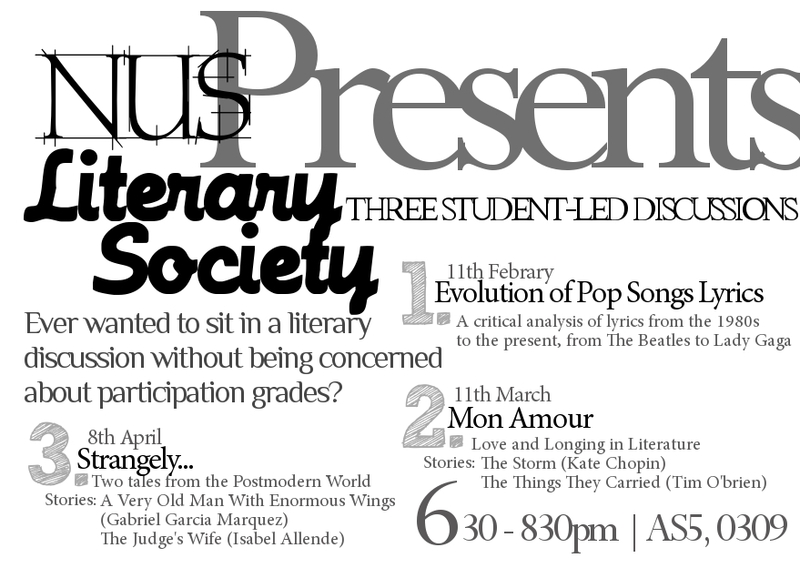 This is a gentle reminder that we’re having our second on-campus literary discussion session – this Friday (March 11tth)! We’ve provided copies of the short-stories that we’re discussing outside the English Language and Literature Department (ELL Dept) counter at AS5 Level 6. Please do grab a copy and make your way down to the session. The session will be facilitated by your peer and it’s a time that you can feel free to discuss and voice out your opinions towards topics that we may not have the opportunity to do so in classes.